If you have a medical condition that makes it impossible for you to work, you may have applied for disability benefits from the Social Security Administration (SSA). 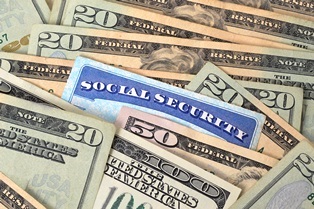 Many people believe they can only obtain benefits if they’re disabled permanently. While it’s possible your condition continues for a long period of time or becomes permanent, it’s also possible that while you’re waiting for word from the SSA, which can take up to two years, you find that your condition improves. To get an approved claim for disability benefits during a closed period, it’s helpful to hire an experienced Social Security disability attorney who can assist you with this type of claim. To win a closed period benefit claim, you must file your application for benefits. Never give up. Benefits for a closed period are almost never awarded at the initial claim level or the Reconsideration appeal level. Typically, only when a closed period case is in front of a disability judge and when that case is being argued by a disability attorney is the claimant awarded benefits. But this underscores that those who’ve been denied disability initially or are currently at a low appeals level should never give up fighting for their claim. Even if you don’t win continuing monthly benefits, you may still receive a financial award through a closed period benefit. Go back to work. A common reason administrative law judges (ALJs) would deny an ongoing benefit but decide on a closed period benefit is because you’ve gone back to work. For any number of reasons, ALJs are less willing to award ongoing benefits to someone who is currently working. However, they're more likely to grant benefits for the time prior to returning to work. You’re showing a judge that you’re willing to return to work and not trying to soak the system for undeserved money. Have a good attitude. If you go before a judge, try not to have an attitude of entitlement—or an attitude at all. Your demeanor and manner are important to the judge hearing your case, and these characteristics may factor into his decision. If you need approval for a closed period benefit, contact Cuddigan law. Having qualified legal representation is important whenever you deal with the SSA. Our attorneys assisted thousands of clients with their disability claims and helped them through this complicated and frustrating process. Contact us for a free evaluation of your case and let you know how we can increase your chances of receiving an approval on your appeal.